Aizawl, Nov 8 : Altogether 275 Bnei Menashe people will be flown out to Israel by Shavei Israel, a Jewish organisation for facilitating the return of people of Jewish origin to that country, within a few weeks. This follows a recently passed resolution in the Knesset, the unicameral legislature of Israel, allowing resumption of migration to Israel of people who are officially accepted as one of the “Ten Lost Tribes of Israel”, a biblical legend. The term Bnei Menashe was coined by Rabbi Avichail, the founder of Amishav (Hebrew for “My People Return”), an organisation dedicated to locating the lost tribes of Israel. 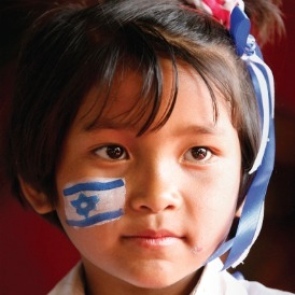 Its support in the 1990s had resulted in the congregation of Kuki-Mizo people in Manipur and Mizoram, claiming Jewish Lost Tribe ancestry, after getting the Israeli government’s recognition in 2005. Bnei Menashe sources here said a co-ordinator of Shavei Israel would visit these two states next week. No rabbis are included in this team, as the organisation does not want to offend Indian sentiments. Shavei, which runs Hebrew centres in Aizawl and Manipur, will cover the entire cost of migration and initial local settlement. As about 7,000 Bnei Menashe members are currently lined up to “go home” to “their” country, this team is expected to conduct interviews to choose the first batch. They are likely to visit Manipur first where a large membership lives. Most of the first batch may be from there. Ultimately, they plan to take them all “home” in batches, the sources said. This time no conversion rituals will be held in India but will be completed in Israel where the batch is to be housed in “absorption” camps to familiarise them with their new country, according to a report in Jerusalem Post, a popular daily there. Sources said conversions would not be held here so as not to hurt the sentiments of the local people. Besides, there is an issue of anti-conversion laws in India. Over the years, about 1,700 Bnei Menashe have returned to Israel. The last migration was in 2005, right after Israel’s Sephardi chief rabbi, Shlomo Amar, issued a formal recognition of the Bnei Menashe as “descendants of the Jewish people”. Members of the Rabbinic court flew to Mizoram in September that year and completed the conversion process for 218 people of the Kuki-Mizo tribe before flying them to Jerusalem for settlement. The conversion took place in Aizawl to enable them to enter Israel as full nationals of that country. Sources said some local churches had written to the Israeli Embassy then against such conversions. The migration process, according to Jerusalem Post, was, however, frozen in 2007 by the then government, headed by former Prime Minister Ehud Olmert, after members of the cabinet, in particular the then interior minister, M.K. Meir Sheetrit, opposed it on political grounds.